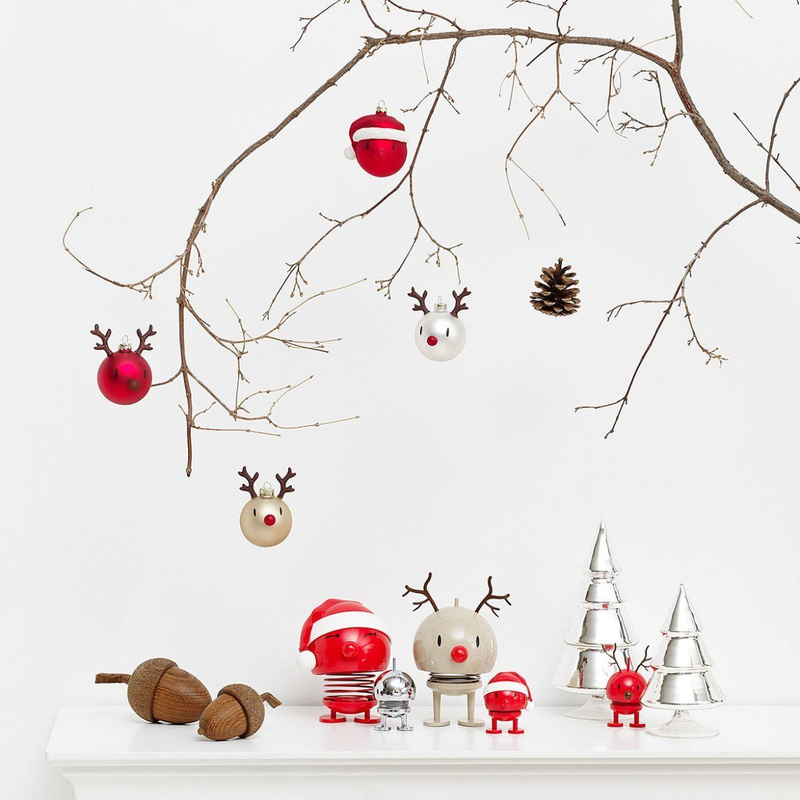 Baby Santa Bimble: a home design accessory with a smile. 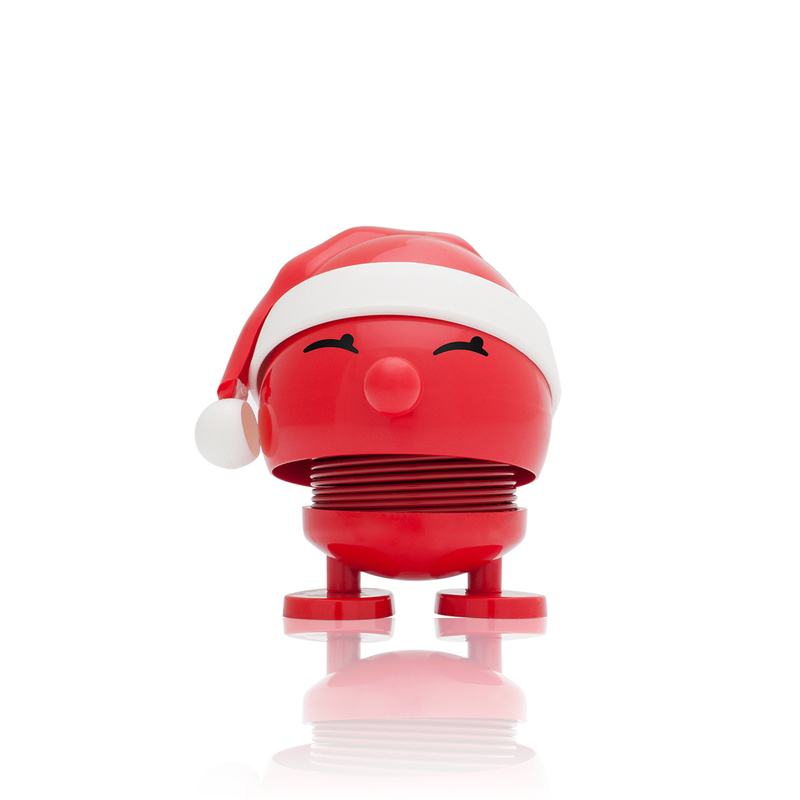 Baby Santa Bimble is the perfect figurine for brightening up your house during the holiday period. It's part of a collection created specifically for Christmas. 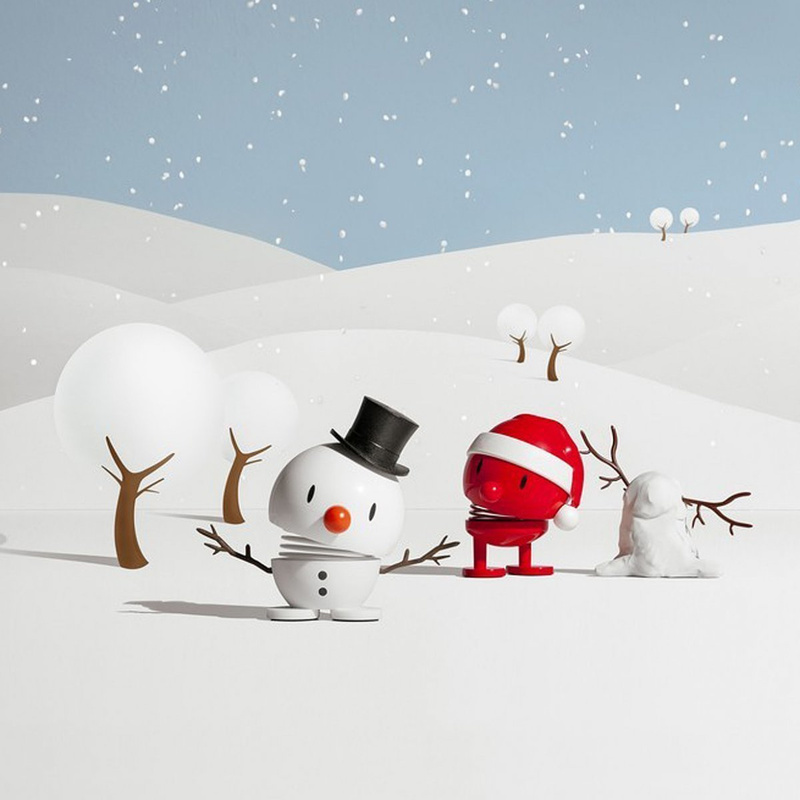 The line is made up of other adorable characters straight from the mind of Hans Gustav Ehrenreich, one of the most creative designers of our time. The most playful feature of this piece is its fluttering movement that can be set off by the simplest flick of a finger, made easy by the spring that makes up its body. Perfect for decorating any room with a smile: the living room, kitchen, hallway, bedroom and even the bathroom. It can be placed on its own or paired with other figurines from the same line. Without a doubt the more important feature that it brings to the table is its vibrant mood and hint of cheer that will add a spark to even the most lifeless parts of the house. It's made of coloured plastic with hypoallergenic and nontoxic colouring. Baby Santa Bimble will have an inseparable role in your house as it contagiously brings about joy and cheer to everyone in its presence. With its cute little face, Santa Claus hat and adorable swaying it will be a key factor in created a friendly atmosphere during the holiday period. This object has a shape made specifically to give off happy vibes to whoever is near it. A positive message joins forces with an exceptional design that transforms a simple home goods design into a genuine masterpiece. Danish brand Hoptimist is world-renowned for having always featured collections with top-notch quality that give off a certain joyous and sweet feel to those around it. Authentic objects down to the very last detail, these pieces will fill your house with style through their colourfully creative and original features. All products featured by the brand are made of high quality, durable materials that guarantee a long-lasting lifetime.